I bought this hair, and its absolutely the best hair I have ever bought. The curl patter is so beautiful its soft bouncy curls. The wefts are super thick and strong. I have absolutely no shedding and it literally take me no more than five minutes to untangle this hair. That’s if it tangles. I am IN LOVE with this hair . Its just absolutely BEAUTIFUL! ! I bought this hair with my own money . I’m just a VERY satisfied customer. The quality of her you get for the price is insane this hair is beautiful. 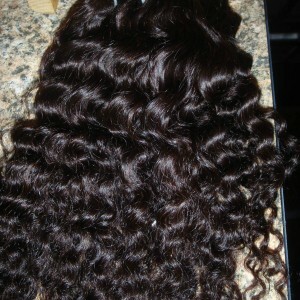 If you are looking for tangle free, shedding free , strong weft, beautiful loose curls this is the hair for you!!! The hair is thick for top to bottom . 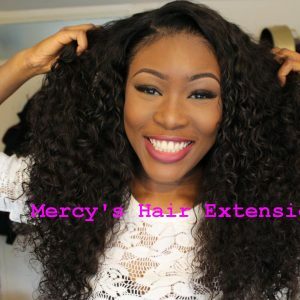 The customer service is AMAZING, I would email Mercy and she would reply to me withing hours sometimes even minutes. The hair came two days after it was shipped. Super fast. I’m just so happy with this hair ihave bought xurly hair before and had HORRIBLE EXPERIENCE. THE HAIR TANGLE AND SHED LIKE CRAZY. This hair is different. I am most defenetly buying hair from here again .great hair.!!!!!! I love the hair its curly I did the straighten test on it washed it.it came back curly again.I can do different styles with this hair it smells good how the pictures was of the hair it looks exactly like that when it arrived it doesn’t shed are anything the customer service she responded very quickly. I recived my order very quickly as well will be ordering again.in love with the hair. I LOVE it so much. 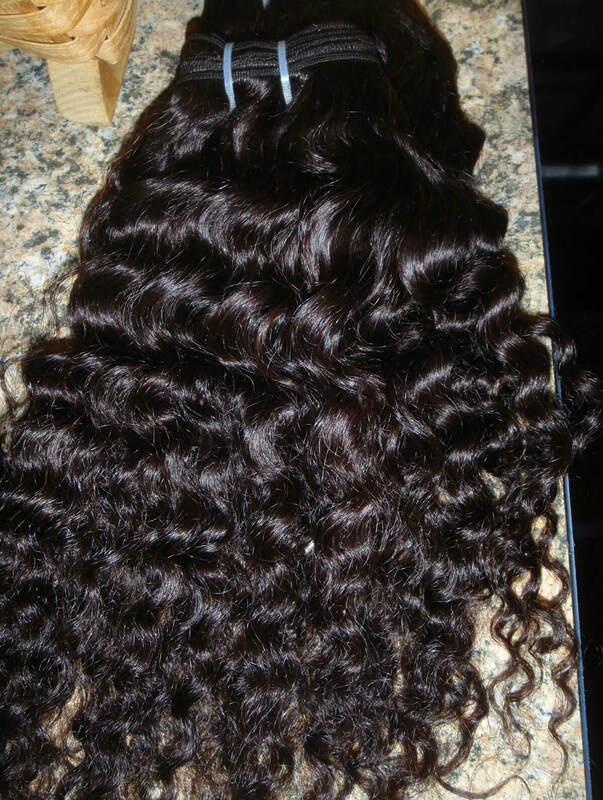 The texture is very lucious and the curls are simply perfection. I have dye, blowdried, straightned, and curled this hair and it still does the same thing. I’ve literally have had this hair for a year and it is still in good condition. I will be ordering from Mercy again she is so nice and easy to talk to. I ABSOLUTELY LOVE IT! I was skeptical about buying this hair at first because it seemed to good to be true. I went on youtube and saw gurus explaining how amazing this hair was. I went and got a 14,16,18,20 and i love it!! It was worth every penny. This has been the hair I have been searching for. Since my first purchase this has been the only hair i wear!! It does not shed, it arrived quickly, it was perfect! I suggest this hair to all my friends and family!! This is the best hair ever! I kid you not. I literally have had this hair for almost a year and it still looks good! There is minimal tangling, minimal shedding, hair still gets curly after wetting, and still can revert back to straight with no matting !! I am highly impressed with this quality of hair for the price. I have spent twice as much for hair, and never have i had hair last this long. 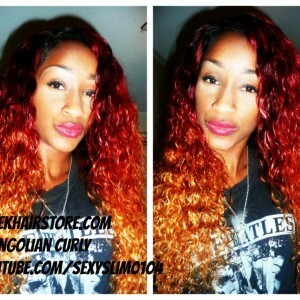 This mongolian curly hair is 100 percent quality hair!!!! I am very happy and satisfied with this hair! It truly is 100% human. There’s minimal shedding, and the quality of the hair is very nice. Best hair on the market. No tangling at all…shiny…barely sheads. Loved it the first time I purchased it back in 2013. I still use that hair today to create ponytails and buns, but now I’m back for more bundles.